Provide comfort for the family of Stacy Sanftleben with a meaningful gesture of sympathy. TO MAKE A DONATION: scroll to the bottom of this page (flowers are gratefully declined). It is with great sadness that Stacy’s family announces his sudden passing on Saturday, March 16, 2019, at the age of 53 years. 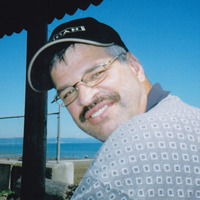 Left to cherish his memory is his son, Nicolas Sanftleben; father Howard Sanftleben; siblings Trevor (Phyllis), Jessica; Lisa (Dave), Jaida and Kaitlyn; Nancy (Dustin), Boston; the mother of his son, (Tracey), Chelsey and Brandon; as well as extended family and friends. Stacy was predeceased by his mother, Phyllis Sanftleben, and both sets of grandparents. Stacy attended St. Henry’s School, elementary and junior high, and graduated in 1984 from the Melville Comprehensive School. After graduation he worked in Melville, then decided he wanted to serve his country and enlisted in the Canadian Armed Forces from 1987-1999. Stacy was very proud to serve his country, as was his family so very proud of him. During his time with the Canadian Armed Forces, he completed two tours of Bosnia and one tour of the Gaza Strip. Stacy’s pride in serving his country could be seen when he was driving in his truck with his veteran plate, as well his truck tailgate having a beautiful logo of the Canadian Armed Forces. Stacy enjoyed his time when he lived on the island and had the ocean as his back yard. He would spend time out on the water in his Boston Whaler boat salmon fishing and just enjoying the peacefulness. Stacy moved back to Melville and went to work as a long-haul trucker. After a couple of years of trucking, he moved on to work for Trican Well Services in Drumheller and Red Deer, where he currently was a lead hand. Stacy enjoyed his work with Trican, the opportunities given to him, his coworkers and the management. He was always willing to share some of his knowledge and experience. Anyone who knew Stacy would also know anything he operated or owned was in immaculate condition. His red Ford F150 was meticulous both inside and out, and you better remember to have clean shoes when you entered his truck. Stacy had a passion for NASCAR; we all knew what time not to call Stacy, as he was glued to television watching on race day. He also loved having the time to fish and, of course, shining up the truck. He would say he was a connoisseur of Saskatoon pies and could tell you that Dafoe 24-7 has the best Saskatoon pie to be found in his travels. However, his biggest passion was having time with Nicolas. Please watch Matthews Funeral home website for more details regarding memorial service details. Donations in his memory can be made to: Wounded Warriors of Canada or the Heart and Stroke Foundation. We encourage you to share your most beloved memories of Stacy here, so that the family and other loved ones can always see it. You can upload cherished photographs, or share your favorite stories, and can even comment on those shared by others. So sorry to hear, God bless you all. The Williams family send their condolences to the Sanftleben family.